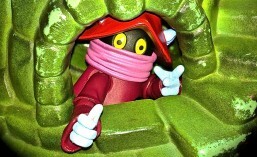 Vile comes in this nice window box. I am going to apologize up front about some of the pictures in this review. It seems my lights have gone out for the light box. Here is the item photographed on the kitchen table. 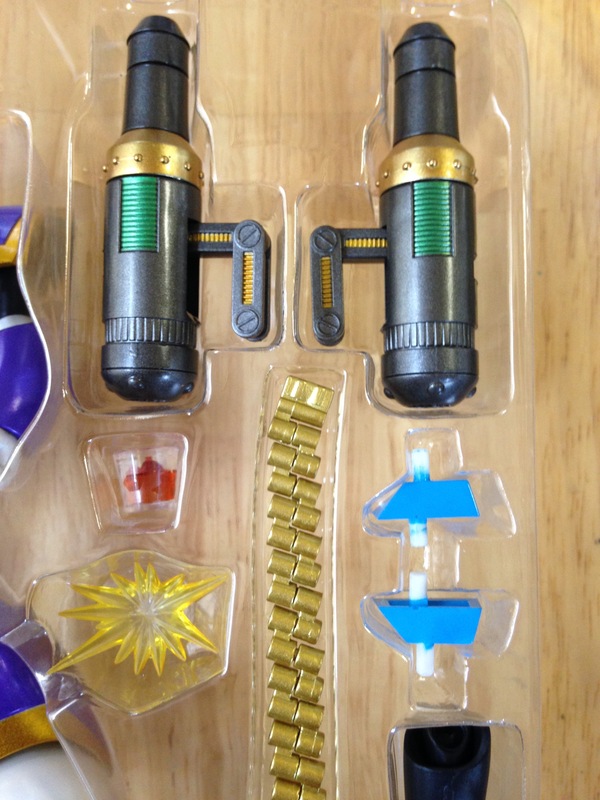 The box shows the figure nicely, and the side is similar to the other D-Arts figures we have opened. The parts all come in this nice blister. Here are some of the accessories. 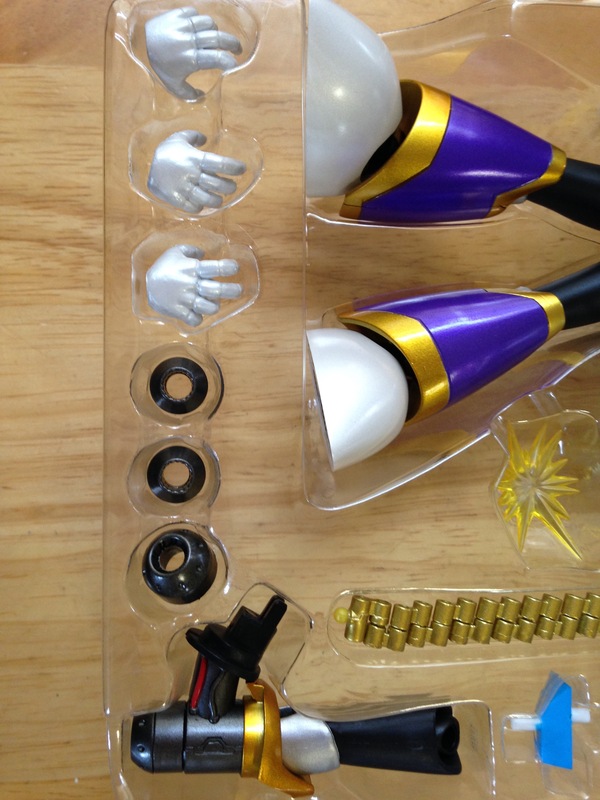 You get alternate hands. Cannons for the back. Different barrel ends for the guns. Chain gun ammunition. 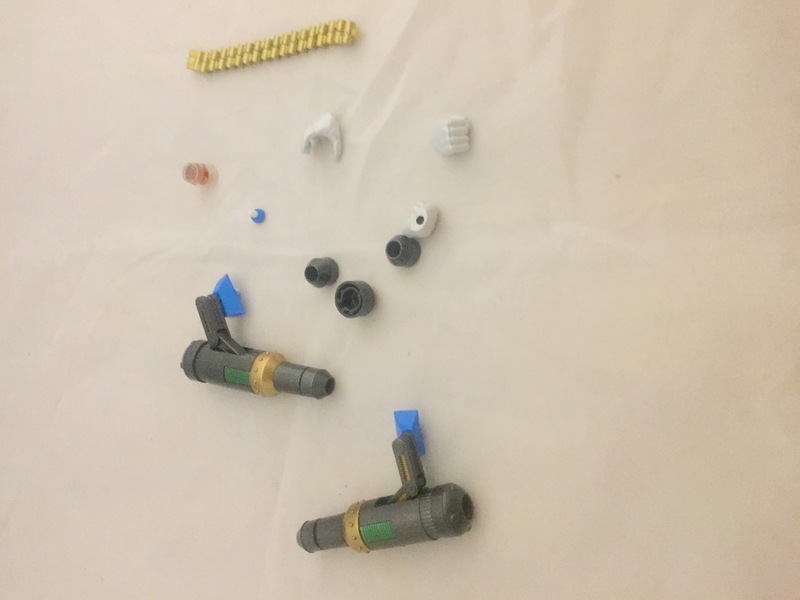 Knee guns (not pictured), and What?? Some kind of beverage! 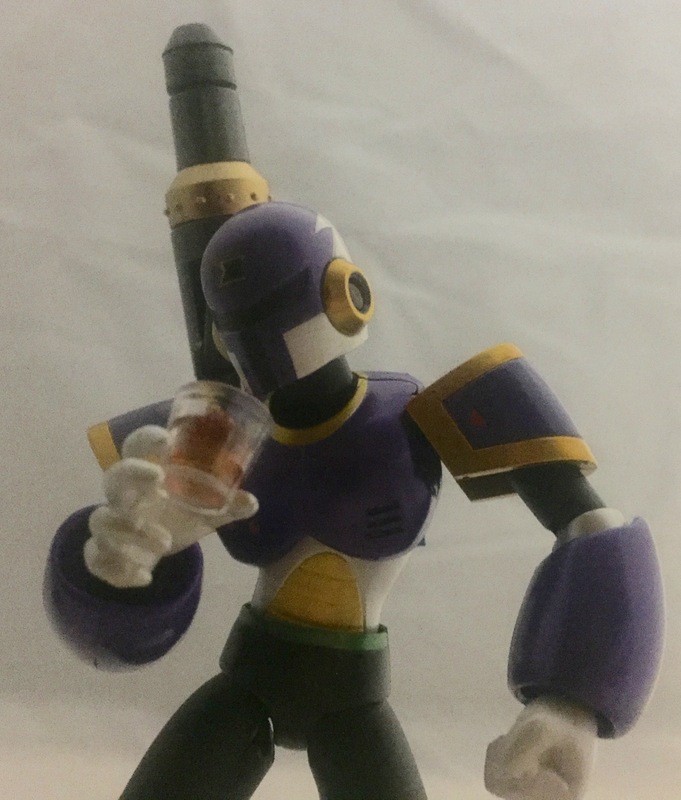 Not really sure how this works, since he doesn’t have a mouth…at least he doesn’t have an alternate face or removable helmet. The SpartanKid thinks this during must be Coke. I think sweet tea, though. It is a detailed piece, with ice cubes. You can remove the contents to have an empty cup as well. 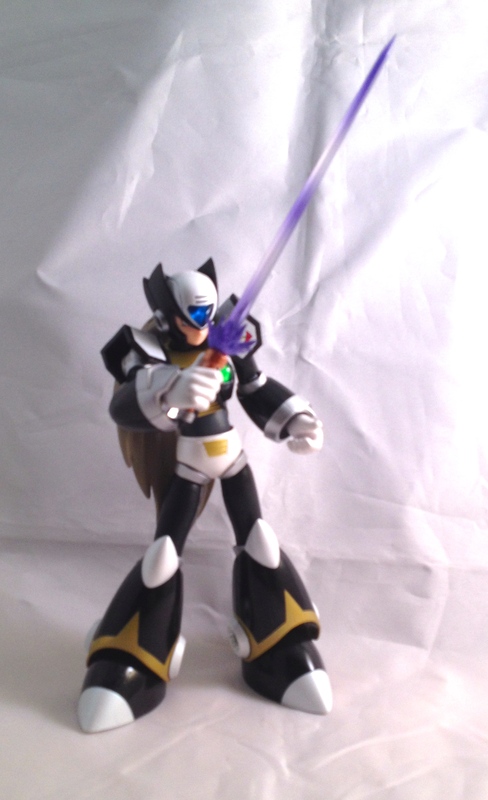 The figure has excellent articulation. 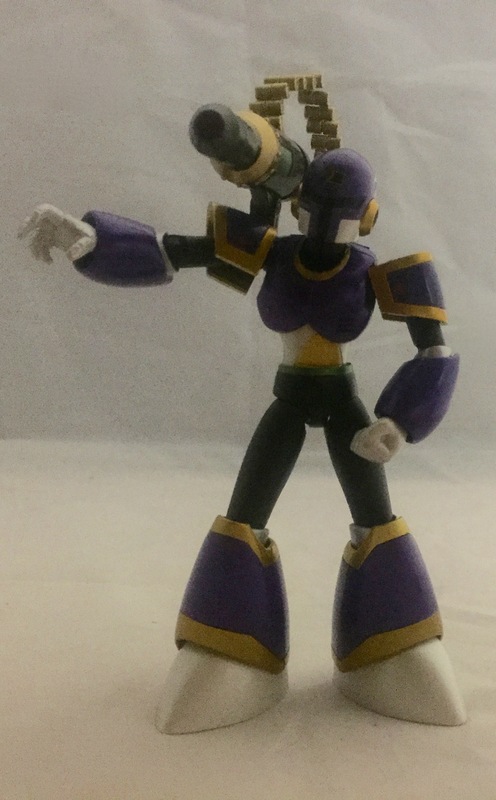 He has movable wrists, elbows on a hinge, biceps swivels, ball jointed shoulders, a ball jointed head.articulated torso, moving waist, ball jointed hips, double jointed knees, and ball jointed feet. The knee gun is an interesting feature. The SpartanNerd would like to say that it was very difficult to achieve. 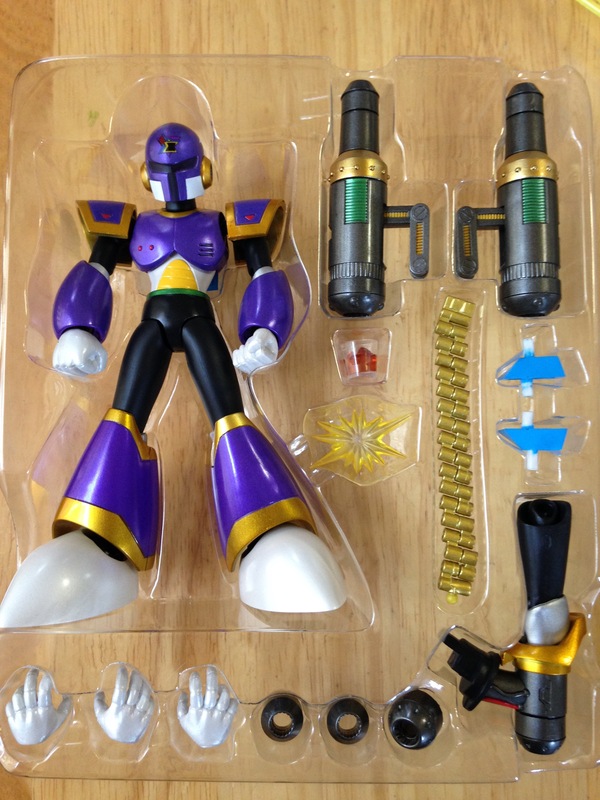 Mostly because the gold ring around the upper part of the figures boot doesn’t want to let go, and is necessary to put the knee gun on properly. In fact, it was highly frustrating, and will be rarely done. 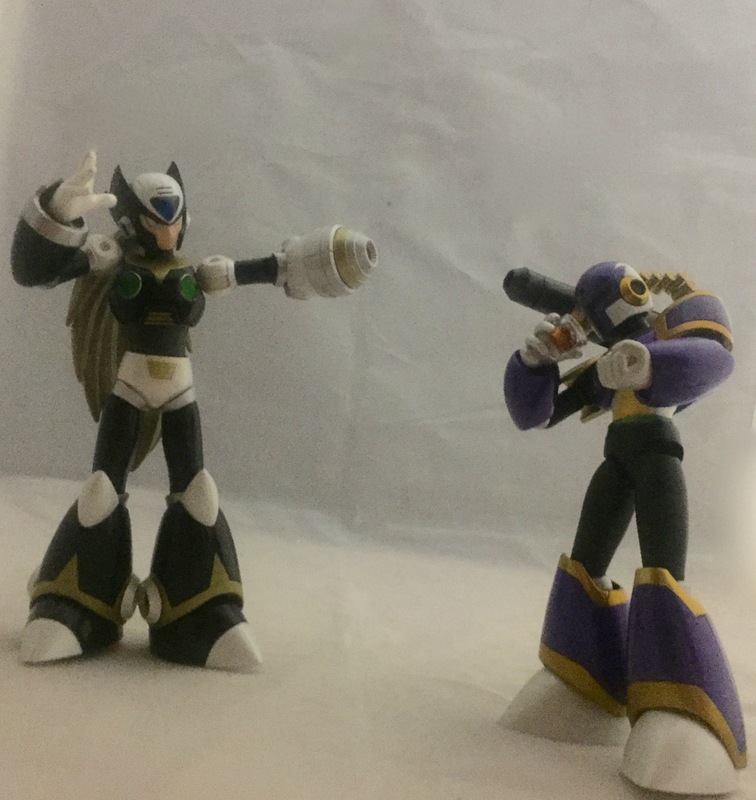 Following are a few action poses versus other figures in the D-Arts line, so you can compare. SpartaNerd Rating of D-Arts “Vile” is 4/5. The figure is well articulated and beautifully painted and detailed. It comes with lots of accessories. However, there is a little problem with changing the knee guns. 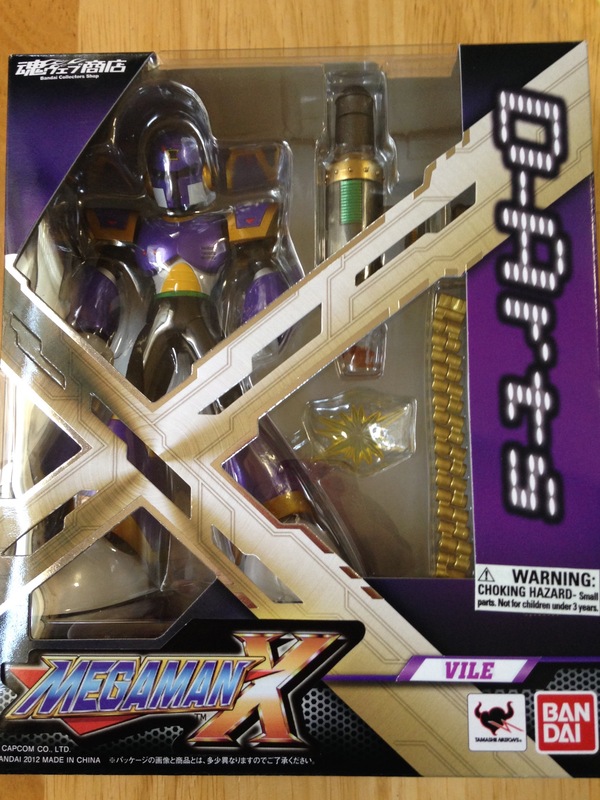 Last year for Christmas, he got “D-Arts Mega-Man X.” I predicted that he would lose the pieces, etc. Nope. He kept up with EVERY ONE. Great! 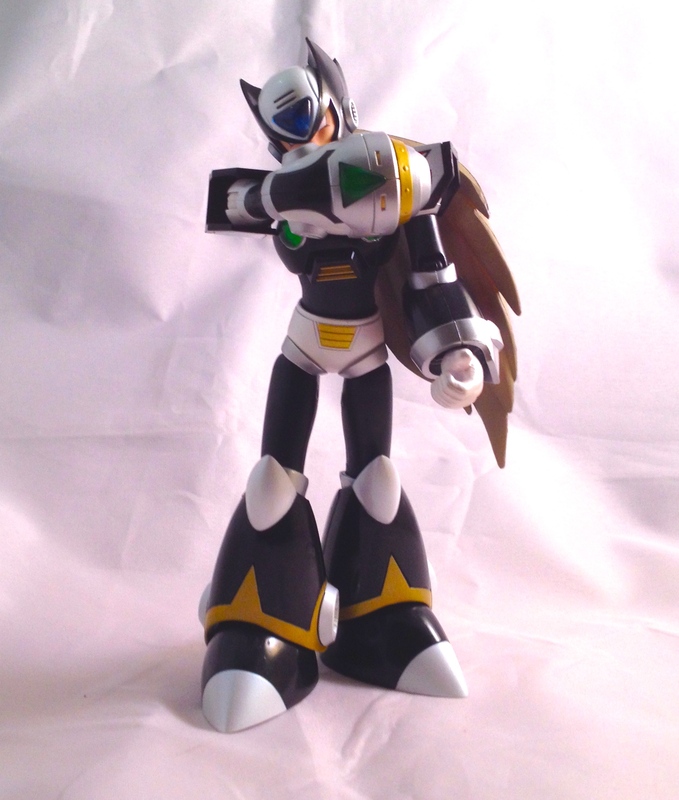 So he asked for another toy like it, “Black Zero.” His aunt got it for him. 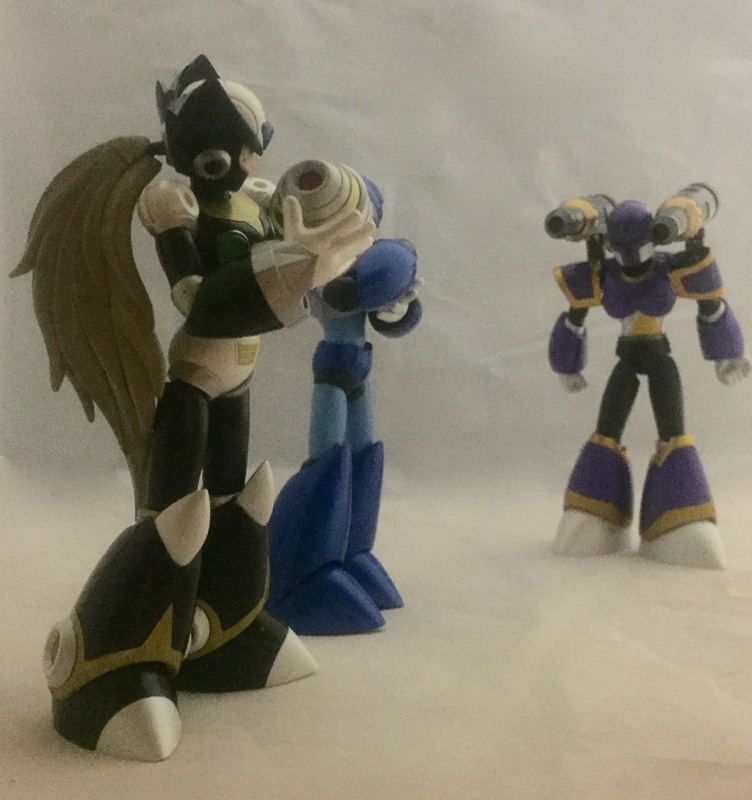 I didn’t review Mega-Man X, (th blog was just getting on its feet), but Black Zero is every bit the quality of Mega-Man X. 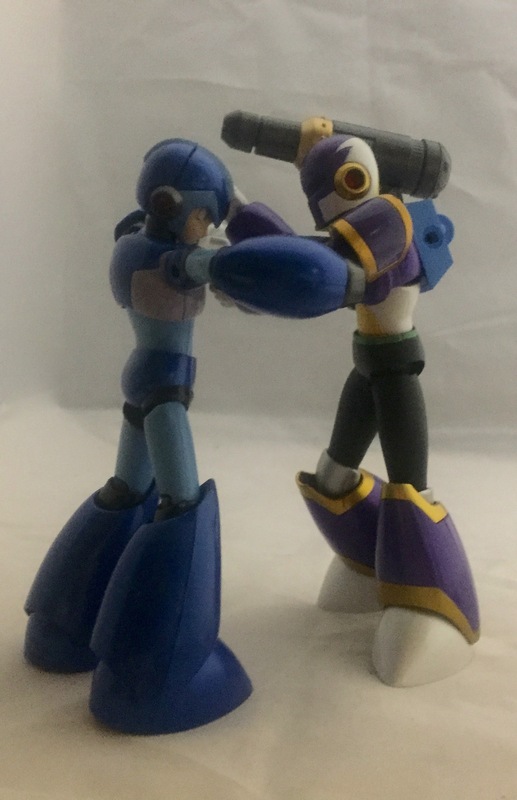 While I don’t know as much about Mega-Man as he does, I am not entirely ignorant. (I have made it to the end of Mega-Man 2, but never beaten it.) 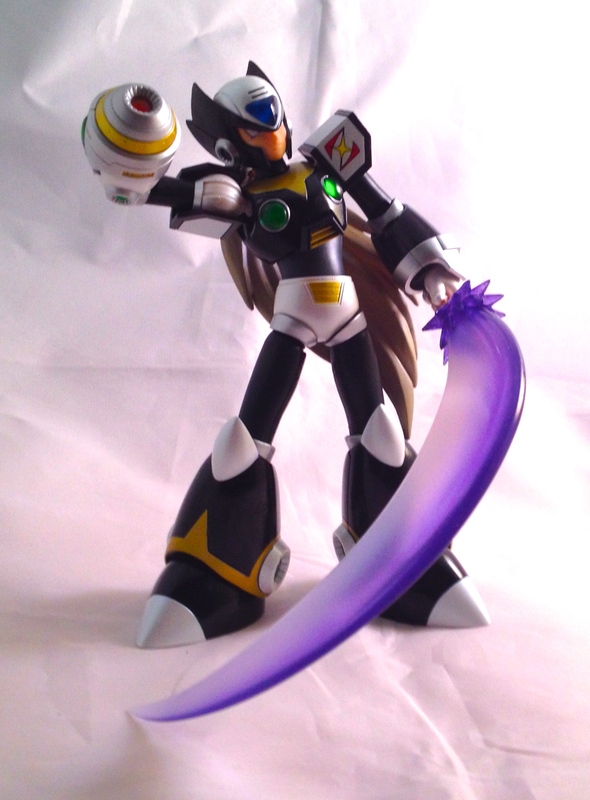 On the other hand, I know very little about Mega-Man X and related stuff. It is apparently its own thing. The SpartanKid couldn’t wait to open it, so I quickly snapped pictures of the packaging. Sorry for the blurriness. The sides of the box also feature great art. 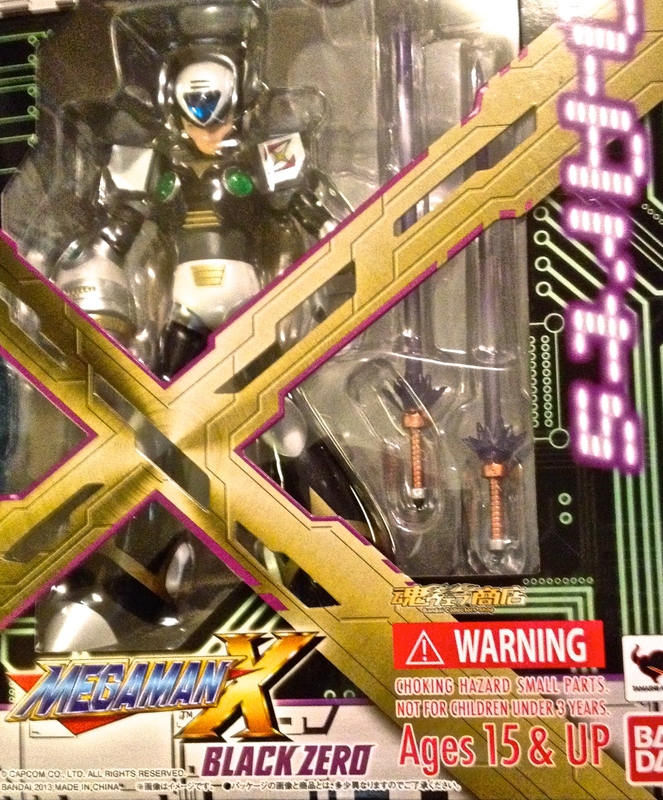 The SpartanKid also got the MegaMan X collection of video games for the PS2. When I saw him playing this, I realized that he was right. Whenever a character in that game uses a sword, you get this look. 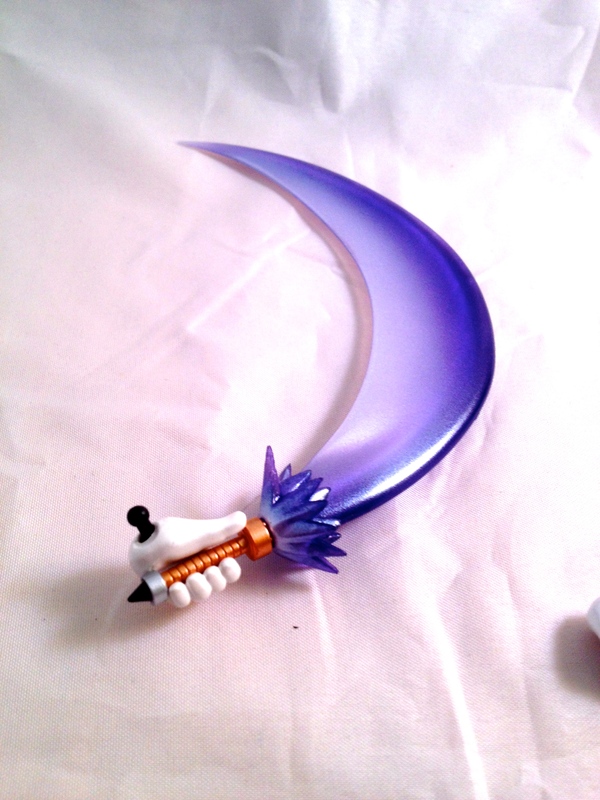 Here is a different hand, holding the pointy sword. 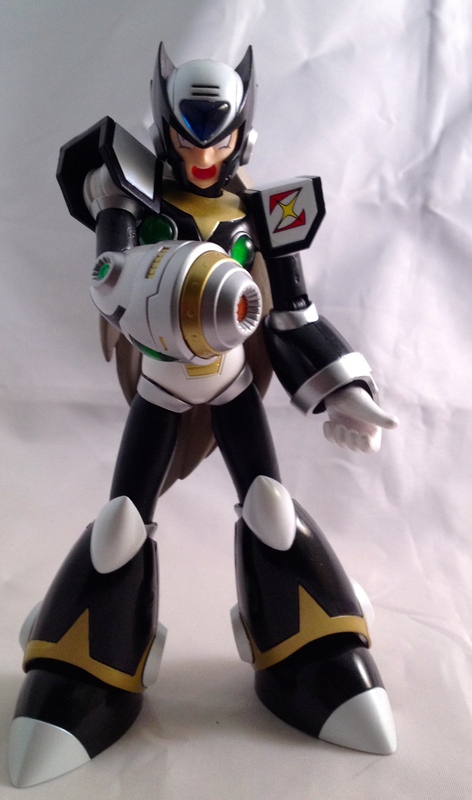 You can also take the parts from Mega-Man X, and apply them to Black Zero. 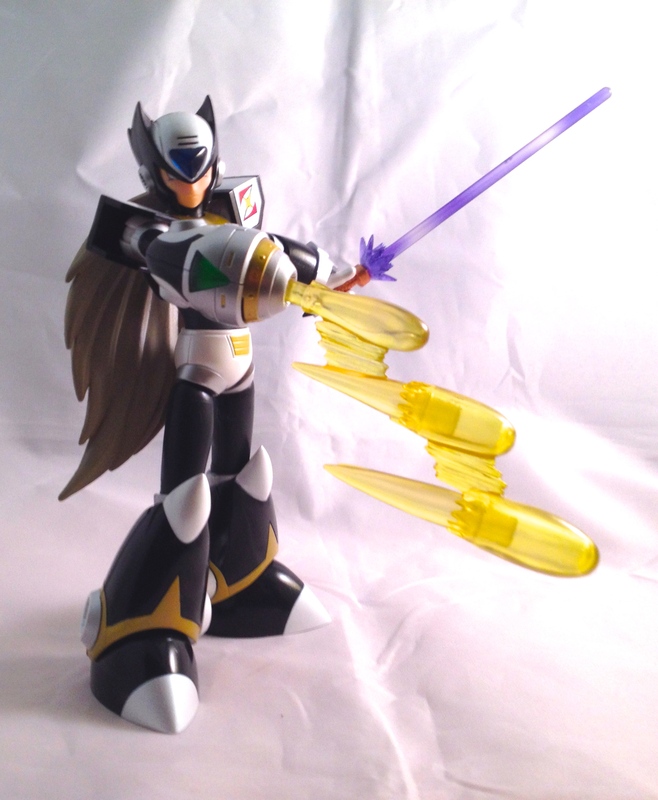 Here he is using the Buster shots from D-Arts Mega-Man X. 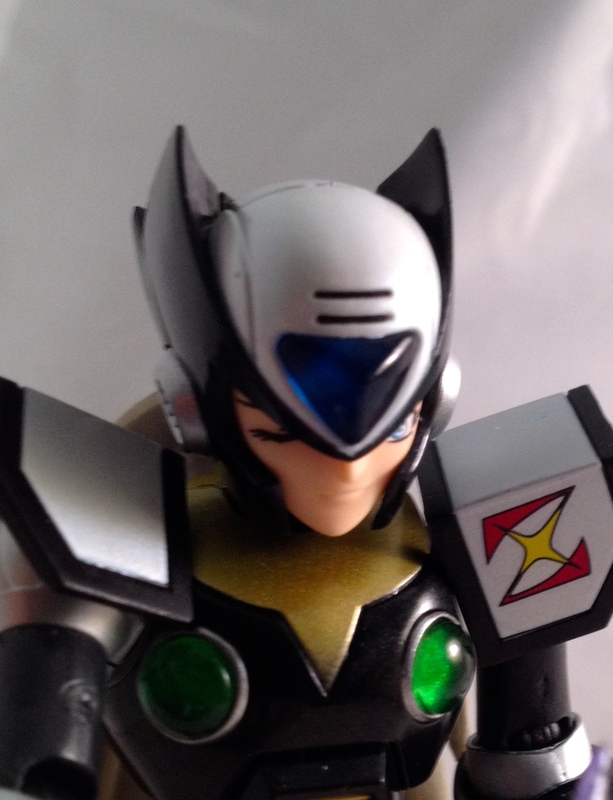 Black zero looks cool with different faces. And it isn’t too hard to switch them out. 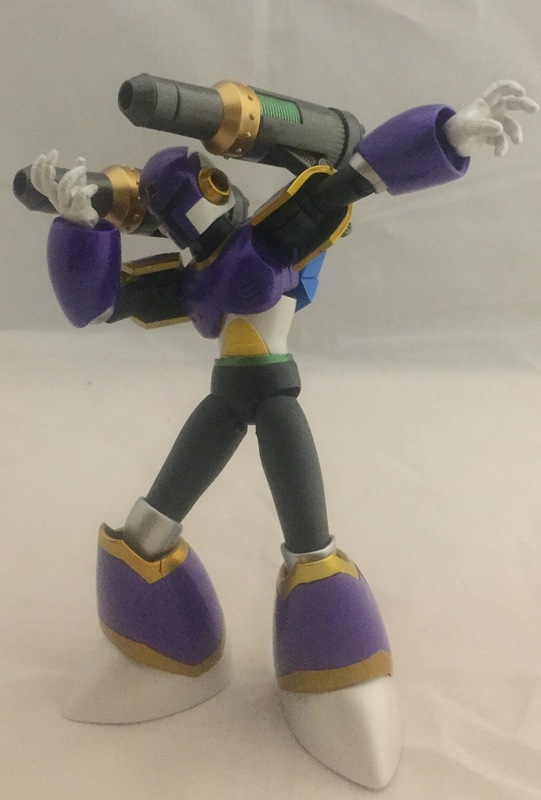 I only have one complaint about this figure. 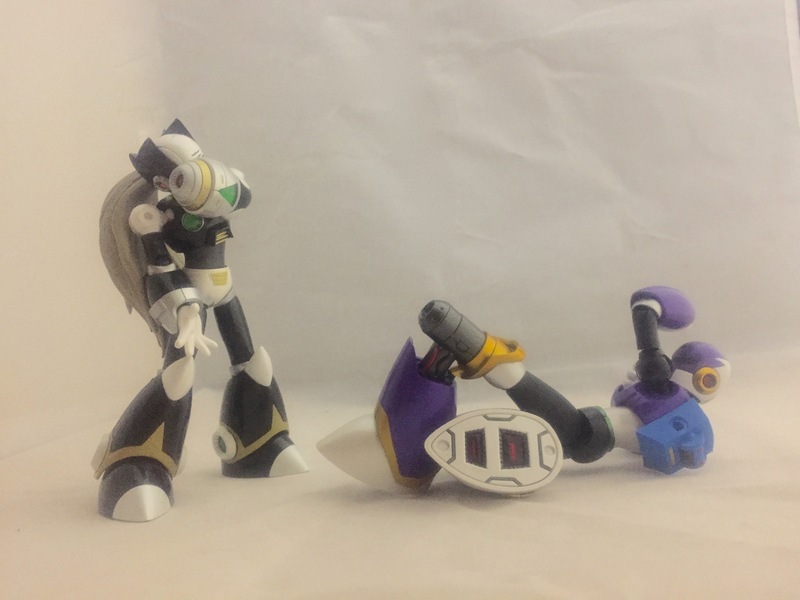 It seems like Mega-Man X also had the same problem at first. But it is important for me to mention for this review. 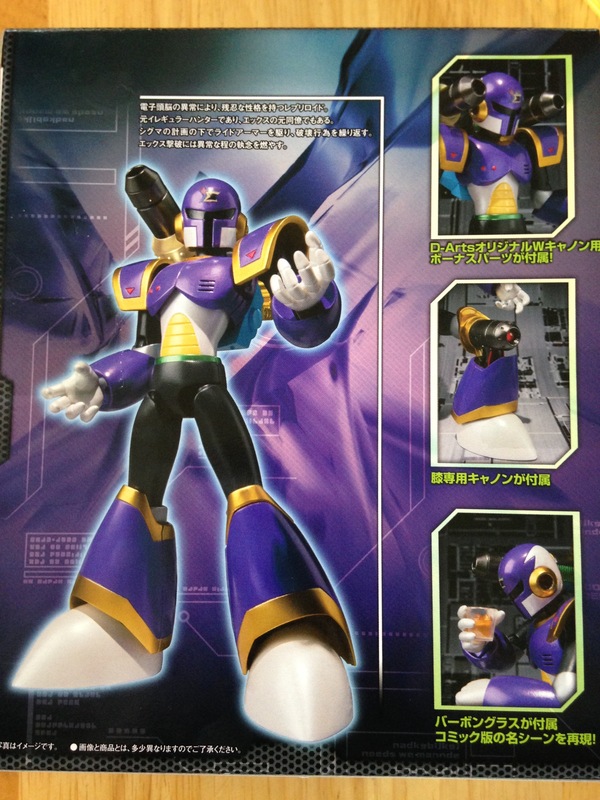 Notice the little peg where the hand attaches to the figure. This is a peg with two ball-joint ends. This peg should stay in the forearm…but it doesn’t. Do you know how hard it is to get into the hand? How about back into the forearm? And once it fired out like a bullet across the room. We were lucky to find it. If we HAD lost it, how difficult would it be to replace? The sculpt is all you would expect from a $60+ adult collectible figure. 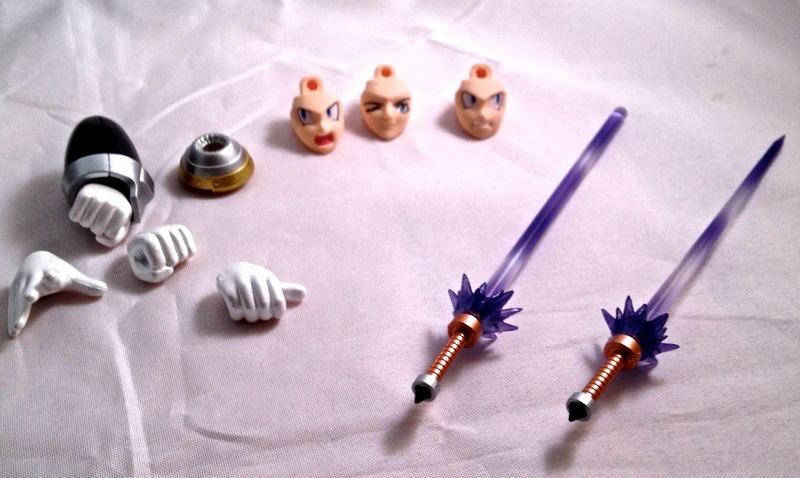 The interchangeable parts are very nice. He is a great representation of what is in the game. The SpartanKid has had a ton of fun with him so far. 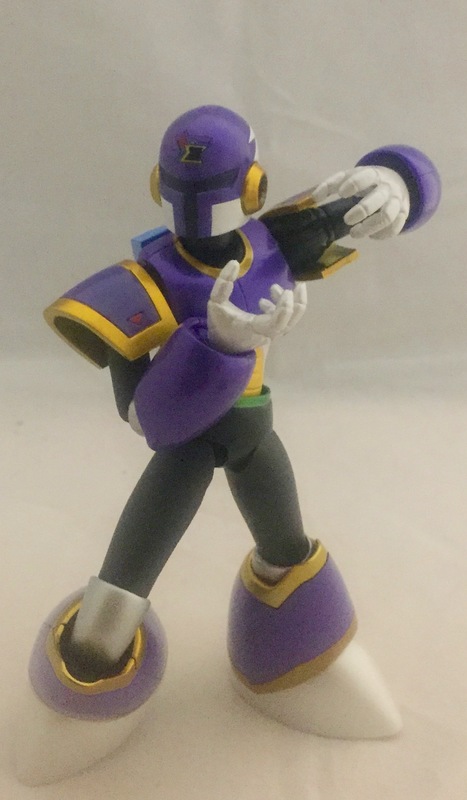 He goes nice with the other D-Arts Mega-Man figure. There is an issue with the peg on his left arm. A potentially nasty issue if that peg gets lost. So I have to take a point off for that. 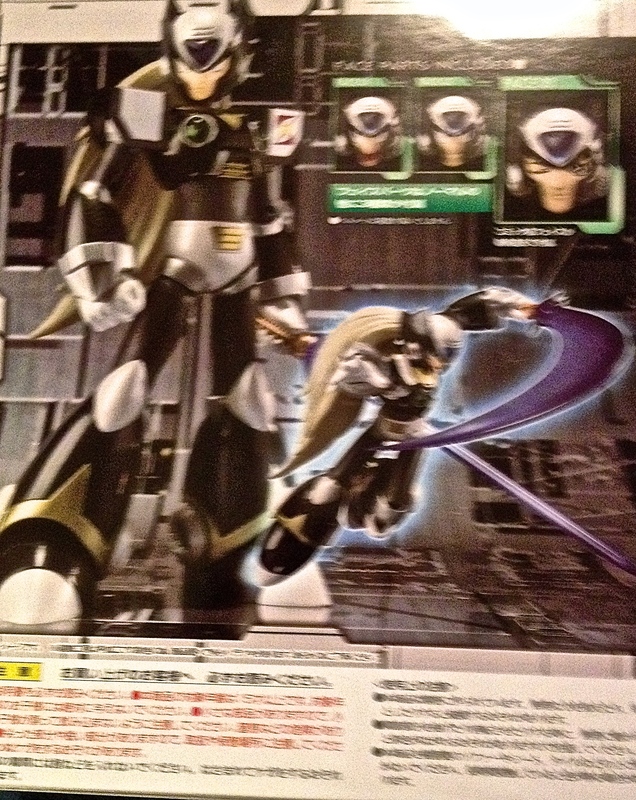 So the SpartanNerd gives D-Arts Mega-Man X “Black Zero” a 4/5.